Eleven sisters are the founding members of a new hilltop monastery in the Diocese of Harrisburg. 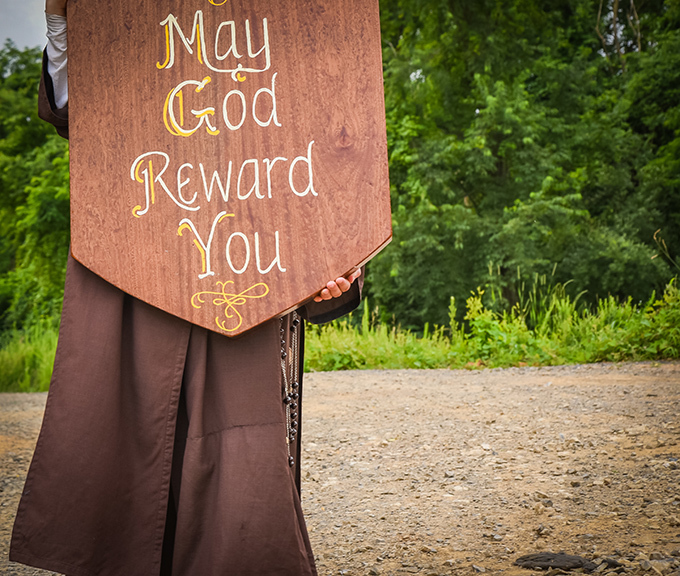 Eleven Discalced Carmelite Sisters of Fairfield, Pennsylvania are establishing a new monastery on a 40-acre, hilltop site in the Diocese of Harrisburg, just eight miles from the historic town of Gettysburg. The nuns were originally part of the Carmel of Jesus, Mary, and Joseph in Elysburg, also part of the Harrisburg diocese, but as their community has grown, the 11 sisters, according to the Carmelite custom, separated to form a new community. Both groups had previously separated from a Carmelite community in Valparaiso, Nebraska. It is the desire of the nuns to build a monastery, mostly of stone, in a style envisioned by the well-known Carmelite St. Teresa of Avila (1515-1582). The sisters have reached out to lay friends to help fundraise for the project, which is estimated to be $12 million. So far, $4 million has been raised, allowing for the completion of two of the stone buildings, with work starting on a third. Mother Therese of Merciful Love, OCD serves as subprioress and novice mistress for the community. She is originally from Massachusetts, and entered the Valparaiso community at age 17 in 2003. She recently spoke with CWR about her community. Mother Therese: People in the local community have been very generous, providing us with the food and supplies. We have a turnstile set up where they can place things, ring a bell, and we come to pick them up. On our website, we have a list of things we need, such as firewood and candles. We also welcome the help of volunteers, who can help with such things as mowing the lawn or cleaning. People who want to donate financially can either write us or donate through the website. In Elysburg we worked on our farm. We had cows and chickens and vegetable gardens. We had dogs and cats too, but they weren’t for our enjoyment, they served a purpose on the farm. The cats, for example, catch mice. We don’t keep animals as pets, as we don’t want them to steal our affections from God. We do grow to love them, however, as they help us praise our Lord and show us his providence. In Fairfield, we’re developing our own farm, too. We’re going to have fowl, cows, and goats; we already have a couple of sheep dogs. We’re going to get work horses; one of our sisters grew up around work horses and knows how to use and care for them. There is also a local Amish community with whom we’re friendly, and they can help us with the horses, too. CWR: Some of the stone workers on your monastery are Amish. Mother Therese: Yes. We are forming bonds with the Amish. They are intrigued by us, and understand how it is to live outside of society. They are gentle and kind to us, and we admire what we can of their simple family life. CWR: Both your community and the community at Elysburg are offshoots of the Carmelite community in Valparaiso, Nebraska. Mother Therese: Yes, and the Valparaiso community has Mexican roots. We preserve a lot of that culture in our monasteries. CWR: The Valparaiso community also sent sisters to found a community in Australia. Mother Therese: Yes. There are four nuns establishing a monastery in the Diocese of Wilcannia-Forbes, who came at the invitation of the diocesan bishop, Columba Macbeth-Green. That is the way our communities work. When there is a need or a community has grown too large, we send sisters to establish new foundations elsewhere. The sisters in Australia are establishing a community in “the bush.” Traditionally, Carmelite communities were founded in cities, but now we’re tending to go out and establish them in the country. CWR: The Fairfield monastery is being modeled after one of St. Teresa of Avila’s original plans. Mother Therese: Yes. It is currently being constructed of structural stone masonry, timber framing, lime mortar, and reclaimed wood. 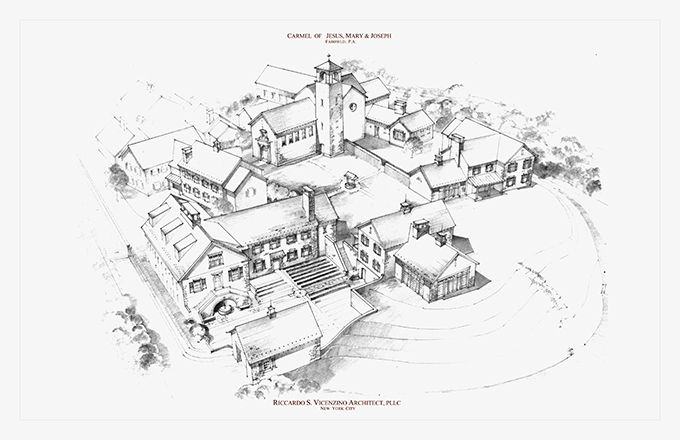 It is made up of several smaller buildings connected by “covered cloisters.” Like St. Teresa envisioned, this monastery will be a “micro village”—a church at the center, with living quarters and workshops surrounding it. CWR: Most of the buildings will be made of stone. Mother Therese: Yes. This method has been unusual in the past 100 years, but before, it was a common way to build. Instead of using synthetic materials, we’re using nature and God’s building blocks. Whereas when you see stone on a building today, it is usually a veneer; our walls will be stone all the way through. It is authentic and represents our lifestyle. The stone is coming from our own property, as well as from buildings that date back to the 1700s that are around us. CWR: You’re located nearby the Gettysburg battlefield. Mother Therese: Yes, we’re on a hilltop, once used by the Union troops as a lookout point. We’re also near St. Elizabeth Ann Seton’s shrine and Mount St. Mary’s Seminary, one of the oldest seminaries in the country, both located in Emmitsberg. Being near the seminary is appropriate, for it is our charism to pray for priests, and the seminarians come to our community to serve Mass. CWR: Tell me about the clothing you wear. Mother Therese: We wear a habit with a large scapular. Our habit is brown and made of wool; we also wear hemp sandals that we make ourselves. 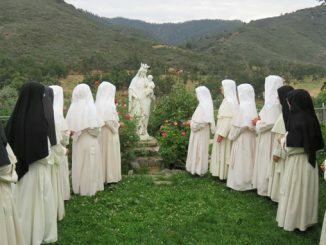 We have a white mantle and a black veil, although our novices wear white veils. As St. Therese of Lisieux said, our habit is too warm for the summer and we get too cold in it in the winter, but we get used to the sacrifice. We wouldn’t wear anything else. We wear it permanently; it becomes part of our identity. CWR: Many women’s religious communities gave up wearing the habit. Mother Therese: Young women considering vocations who visit us disagree with this decision. They are looking for the full habit in communities they are considering. In my own search, that was the first thing I looked for. CWR: Why do you think so many nuns stopped wearing the habit? Mother Therese: I think some people tried to convince sisters that they’d have better access to lay people without the habit, and that it was acting as a barrier between them and the laity. I think many sisters gave up the habit reluctantly, out of obedience, but really didn’t want to. They were deceived into thinking it was the best thing, but it hasn’t worked out so well. CWR: Why do you not want your faces photographed? Mother Therese: It is universal to Carmelites that part of our effectiveness is that we remain hidden. We don’t want our “hiddenness” exposed. CWR: You also don’t drive. Mother Therese: No. People bring us things, and if they don’t, we don’t need to have it. We have to rely on what comes to us through the turnstile. People give us vegetables or construction supplies. The only thing we leave for is medical emergencies. CWR: You use the Extraordinary Form of the Mass and Divine Office. Mother Therese: Yes. That was an act of Providence. In 2001, Bishop Fabian Bruskewitz assigned a Fraternity of St. Peter priest to us as our chaplain to say Mass for us on weekends. It exposed us to the Latin Mass. We weren’t seeking it, but we enjoyed it. Later, when we were assigned a permanent chaplain, he agreed to learn to say the Latin Mass for us. It fits better with our contemplative lifestyle. And, as we had the Mass in Latin, it seemed that we would have the Divine Office in Latin, too. It has been good for our religious life. 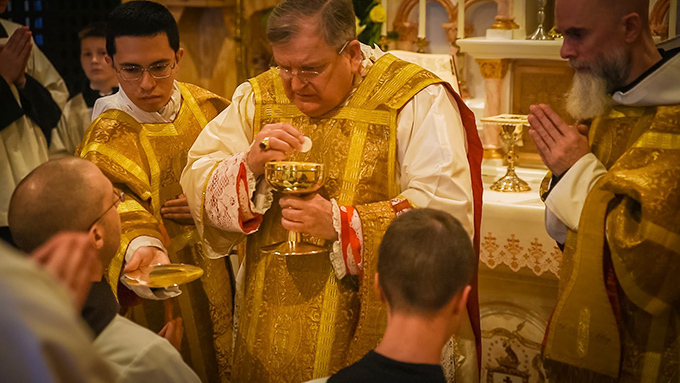 All of our customs have grown out of the old liturgy. With the new liturgy, not as many of our customs fit. I think our use of the Latin Mass and Divine Office is related to the great deal of vocations we’ve had. CWR: Where would you like your monastery to be in 10 years? Mother Therese: It would be great news to say that we’ve finished the monastery, but it takes time for the craftsmen to work in stone. We’d like to be established with our family farm, growing our own crops and vegetable gardens. 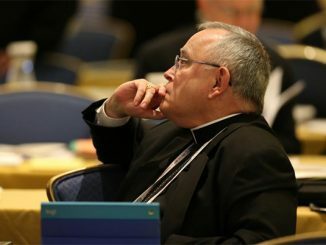 CWR: Cardinal Raymond Burke visited your community last November. Mother Therese: Yes. He knew one of our sisters before she entered religious life. He came to witness her solemn profession. We had Mass in our chapel, which right now is a barn. He delivered a beautiful sermon for us. He gave us a special blessing, and took a photo with us. He has an amazing memory for faces and names. He came into our enclosure and sat with us. No one can come into our enclosure, with the exception of a cardinal or the bishop of the diocese. When a VIP comes, you never know what to expect, or how he’ll act. But Cardinal Burke proved to be a wonderful, personable, and gentle man, soft spoken and kind. We are very grateful for his visit. April 10th: I don’t understand, truly, how they can ask for $12 million dollars for any reason. And I don’t think St. Teresa of Avila lived in such a massive place…$12 million dollars!? Why not build a sturdy but simple edifice? I think their plans are beautiful. Beauty is its own purpose, especially lasting beauty. If I had $8 million to give them, they would have it today. Many years ago, I visited the Elysburg community when they hosted an ‘open house’ to allow the surrounding neighbors get to know them and what their mission was. I will never forget their happiness! All these years later, I still remember their joy. May God bless each and every one of them in their new community. Well we have to consider that the price of churches, chapels, monasteries & so forth have increased in price since St. Teresa of Avila. It is so good to see Nuns that want to wear the full Habit like these do. God Bless each and every one of you….you answered His call! I hope to stop by some day and put some things in your turntable. You have been placed in such a Holy Area of Pennsylvania. Sounds like they’re building their own Gilligan’s Island… with no phone, no lights, no motor cars. Not a single luxury! Joking aside, I think it’s great! I was once interested in becoming a Carmelite (got married instead) and this place would have had me very interested. 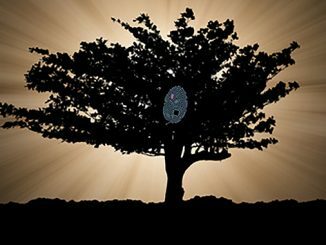 If you are interested in Carmelite spirituality the Secular Order of Discalced Carmelites is open to the laity. You would need to see if there is a community near you. I think this wonderful. We have a Carmelite Monastery in Littleeton, Co and it is in need of more peope visitng it. The monatery is open for Mass daily and it is a beautiful place to attend Mass and our celebration of St. Teresa every year for her feast day. I find St. Teresa’s statement hard to reconcile with what is described here. Am I missing something essential? Yes, you are. 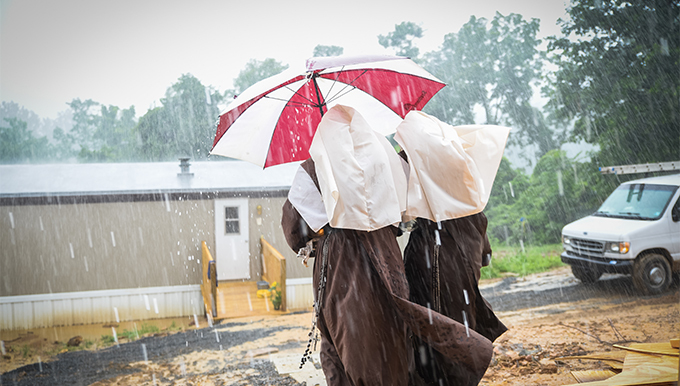 In the picture of the sisters walking in the rain, they are heading toward a trailer. Eleven women live in that small trailer. When they sleep at night, they fill the entire floor with their little cots that are rolled up during the day so they have a small aisle to walk through. Their home, now that the weather has improved, is a barn. They cook on and heat the barn with a cinderblock stove. They use candles. For Christmas, their decorations consisted of candle holders made from punched-out soup cans and brown paper tied decoratively into bows. Their buildings will be anything but “lavish,” as St. Teresa warns. They are plain stone with no ornamentation but what the sisters can make from cards or stickers friends of the Carmel send them. I know all this because I have been there. My family helped build and install the turnstile that Mother Therese mentions. They are poor and joyful and are trying to bring back the simple life. 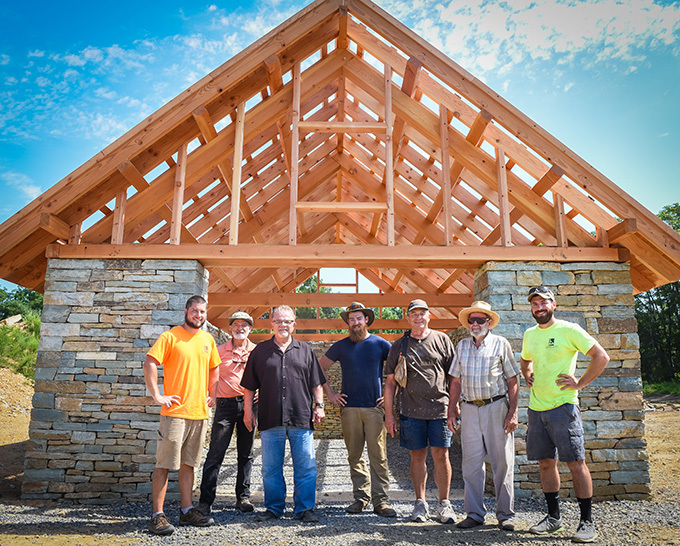 Builders and horticultural experts volunteer or offer very low rates for the opportunity to use the ancient trades they love and teach workshops to people who come to learn. And to the person who questioned the cost of $12 million, unfortunately we live in an expensive world. They have huge piles of used stone that was donated to them by someone who took down a huge old building. They accept any donations, which would decrease the cost. And they will build one building at a time, starting with a kitchen – which means they will continue to live in that trailer for a few more years, I’m guessing. Please remember – these ladies have given up everything for Jesus and are praying for YOU. Let us always assume the most virtuous intentions, as St. Teresa herself does in your quote. Dear Jeanette, I have known several communities of Discalced Carmelite Nuns in different states. I have found that all the of the Sisters are poor and joyful, as you describe the Sisters in Fairfield. All of the communities I have visited practice papal enclosure and wear the full habit. However, none of them are a micro-village. They all consist in a single solid building, with in some cases a couple of sheds or a barn. It is not the cost that I question – any construction nowadays is exorbitant! It is the vastness of the construction. I would be grateful if you can show me any of St. Teresa’s foundations which had so many buildings. In her foundation in Malagon, St. Teresa herself drew up the plans. Is the Fairfield community based on those plans? Thank you for explaining about the candles. From the article, it sounded as if the Nuns plan to use candles for the rest of their lives! I am praying very much for them, and for their original founding community in Valparaiso and its daughter houses. Rev. Chris De Herrera O.S. I too was taken aback by the amount. It doesn’t seem to harmonize with that quotation from saint Theresa. Let’s not forget the role of St. Joseph, the worker, in this project, too. The Carmelites are relying -as holy Mother Teresa did – on Divine Providence. What seems impossible to man, is possible with GOD..
Couldn’t the sisters have bought the property that was the Mother House of Saint Katherine Drexel in Bensalem, PA.? Wouldn’t that property even with the cost of any necessary modifications have been a lot cheaper than 12 million dollars? I’m glad for the Sisters and wish them well, but I think with all Catholic properties up for sale, they could have obtained what they needed a lot cheaper and would have helped to preserve historic Catholic properties as well. The sisters said their monastery is based on one of St. Teresa’s so perhaps we just need to find out which one? 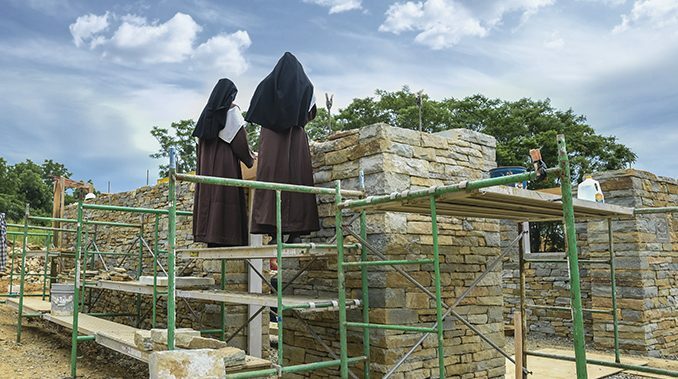 I also assume they are building for posterity, for all the future sisters, like the monks at Clearwater Creek. The monks have attracted many families to live close by and perhaps this will happen with the sisters. There are many beautiful buildings in Europe that have stood for hundreds of years, even well over a thousand years because of stone construction. In the long run it is prudent because these buildings will not need to be replaced, unlike so many buildings currently under construction in the USA. If it’s not God’s will the money won’t come – but clearly they are raising money sucessfully. In the 1980s I worked in a Catholic Hospital. I was a nurse fresh out of training. I felt deep companionship with the nuns who wore habits. During this time they started wearing navy blue and white outfits. Later they began using regular street clothes. I believe much was lost in this transition. I still feel companionship with nuns who wear habits today. There is a reverence about them that resonates with my spirit.